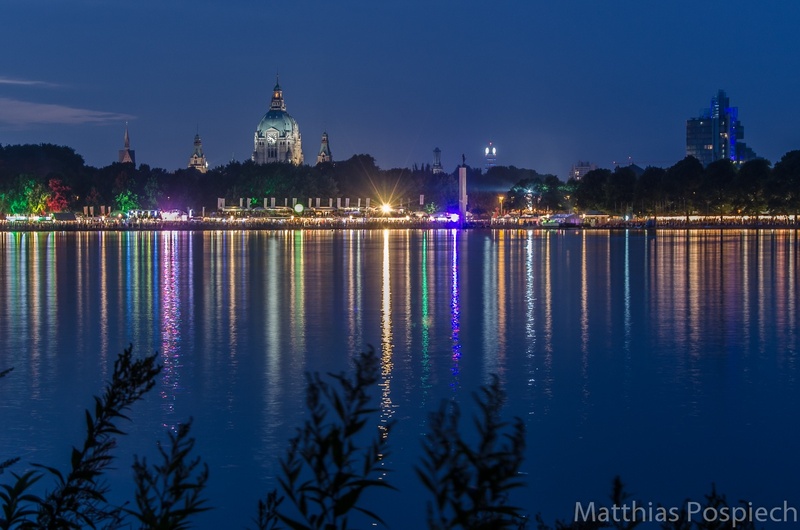 These images were taken at night at the Maschseefest in Hannover. The view is towards the north side of the sea. Originally the idea was to create HDR images. However I arrived too late, so that the acquisition times were in the range of several seconds. This meant that the fast changing lights were be completely different on each image, which resulted in unusable HDR images. These images are therefore single shot images.